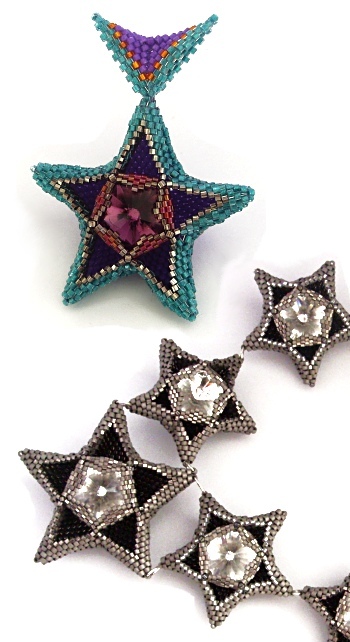 These Geometric Beaded Stars continue my Geometric Series of work but add an extra touch of sparkle! 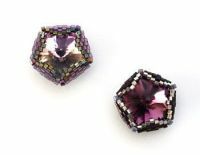 Incorporating my Geometric Crystal Pentagons (the instructions for which are also included) these can be beaded as components in a piece i.e. 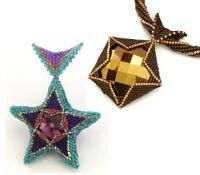 the smaller stars in Geometric 1-8-1 or as individual pendants such as Geometric 2.11.1 (instructions for my Geometric Bail are included). 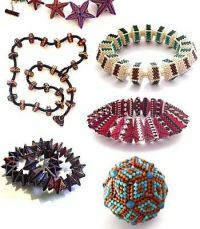 These 19-pages of step-by-step tutorials contain all the instructions, diagrams and photos you will need to make your own stars as well as the instructions for the central pentagon and the beaded bails.